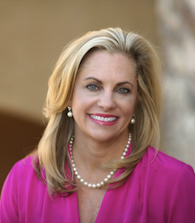 Desert Mountain is an over 8,000 acre gated, recreational community, set in the spectacular High Sonoran Desert of north Scottsdale, in the wondrous state of Arizona. It is bordered by the Tonto National Forest. Taliesin Associated Architects, founded by Frank Lloyd Wright, created the original Desert Mountain master plan in the mid-1980s. A private club, The Desert Mountain Club, was developed as the feature amenity for the community, starting with one golf course and practice center, Renegade, which was quickly joined by two more courses, Geronimo and Cochise, and a 52,000 square foot clubhouse serving both Geronimo and Cochise. Over the years, other courses and club facilities have been added. As of August, 2018, there are six championship Jack Nicklaus Signature golf courses, with Apache, Chiricahua, and Outlaw added to Cochise, Geronimo, and Renegade. A seventh course, appropriately enough named “Seven”, is under construction and scheduled for completion in February 2019. It will be an over 3,000-yard par-3 course. The Club was sold by the then developer to the Club members on Dec. 30, 2010. Since that sale, notable improvements include a $12,000,000 makeover of the Sonoran Clubhouse, the Club’s swim, tennis, fitness and spa facility, completed in October 2016, with the result being a most remarkable, state-of-the art facility including the Club’s sixth private restaurant. Pickleball courts, golf croquet, an expanded children’s playground and bocci ball courts were completed in October 2017. A fifteen-mile hiking and horseback trail system was developed using funds donated by property owners around 2015 as a community asset managed by the HOA. A Dog Park was added a couple of years ago and has become a huge hit, with dogs and their masters alike. The Club also recently developed an advanced golf performance center named after legendary golf instructor, Jim Flick. With six private restaurants, soon to be seven fabulous golf courses, and all the rest of the amenities, Desert Mountain offers a very complete set of lifestyle choices. It has attracted members and owners from virtually every state in the United States and several foreign countries. Over the years, the community has become widely recognized around the United States and the world as one of the foremost examples of golf course community development anywhere. If you want a luxury residential experience, wrapped up in one of the finest recreational communities in the country, you will have a difficult time finding a better place than Desert Mountain. As of August 1, 2018 there were approximately 1,286 completed custom homes and 550 semi-custom homes, with another approximately 100 custom homes either under construction or in Design Review. There were approximately 373 custom lots not yet built upon and not owned by a neighbor to protect their views or privacy. With the developer gone, all property sales are on the “resale” market. 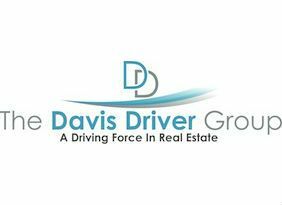 The Davis Driver Group maintains extraordinary information on all sales, pending transactions, and available properties, the likes of which cannot be found anywhere else. If you have any question whatsoever about any aspect of the real estate market in Desert Mountain, we invite you to give us a call and share that question with us. 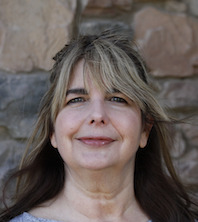 The community is in a quiet, peaceful setting; the air is clean, the skies dark at night and the climate very comfortable most of the year (with a high about ten degrees cooler than what Phoenix reports, but nighttime lows in the summer approaching twenty degrees cooler than what the city will record). One can normally drive to Sky Harbor Airport from the Front Gate in under forty-five minutes, and the nearest grocery store is just six minutes away. Our Group members know many other residents and Club members and enjoy introducing our new clients to these people via our “Inside Circle” program, helping them get plugged in quickly. It is a friendly place, with people from all over the country and all kinds of backgrounds. You are bound to be able to find some people quickly with whom you will become fast friends, and all of us look forward to helping in that process!